What brought you to Singapore, how long have you been in practice there? 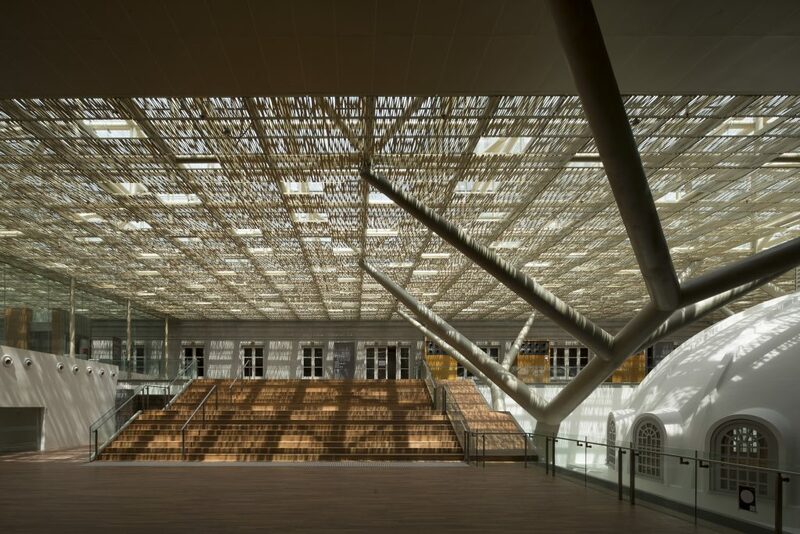 In 2007, my studio in Paris won the international competition to design the National Gallery Singapore. I felt that with a project of this scale, around 60, 000 square metres and a budget of over 500million SGD, it was essential to set up a firm in situ, with a dedicated team. Initially, I was not entirely sure as to whether I would be moving between Paris and Singapore for the duration of the project, but the demands of the project sorted that out pretty swiftly. Moving to Singapore give me the day-to-day involvement in all aspects of the design development and construction which I both enjoy and felt to be essential in this case. The brief for the Gallery involved converting two of the country’s most significant monuments, the Supreme Court and City Hall, into a world-class gallery for modern Southeast Asian art. These buildings witnessed the surrender of the Japanese to the allied forces in the Second World War and the declaration of Singaporean independence in 1965. 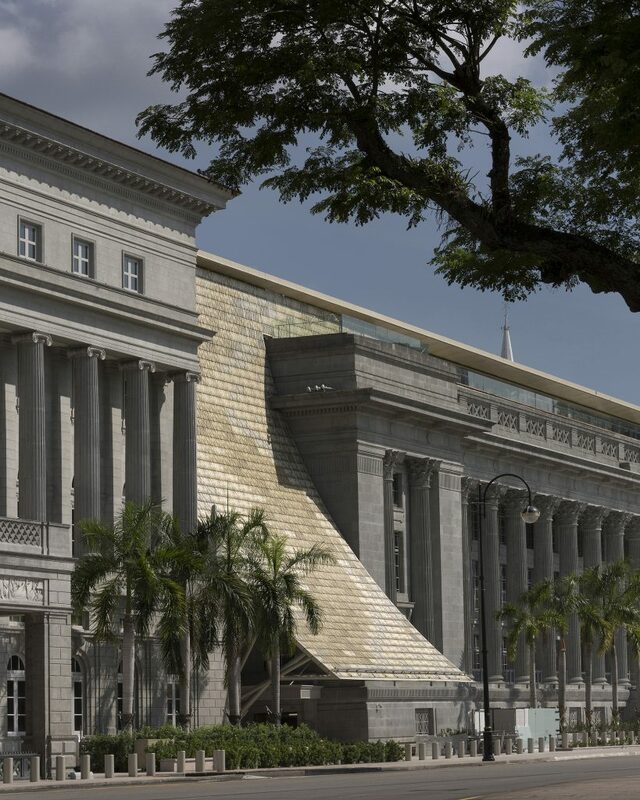 Their sentimental and historic importance to Singapore being great, and the brief also asked that the changes to be made in transforming the buildings should respect their historic integrity. Being in Singapore, I could oversee the intricate and demanding balance of transforming and conserving the buildings, and develop the kind of trust and understanding within our team, and with the client and other local partners, that always helps things run more smoothly. We’ve had the studio there since 2008. How much of your work is based in Singapore, and what makes Singapore a good place to practice? Now that the National Gallery Singapore project is winding down, we are working on a smaller scale and prospecting for new projects. With our focus on cultural and civic projects, our opportunities in a smaller country are not as great as in Europe. We’ve expanded more in Vietnam for the time being, with one recently completed project being the Centre for Science and Education in Quy Nhon, a city in the Central Vietnam province of Binh Dinh. Our plan is to remain in Singapore, as we have an exceptional team and the discipline and dedication to excellent urban planning and sound architectural design is something I respect a great deal. Could you give us an idea of the main places your projects have been built? studioMilou’s work is largely based in France, Singapore and Vietnam. What is the most significant project your practice has completed recently, or what project is the most important project in recent years? I would say both the National Gallery Singapore, and the Carreau du Temple, in Paris. The latter involved the conversion of a 19th-century glass and steel covered market structure in the Marais district, into a culture and sporting venue. Why does international membership of the Institute appeal to your practice? Over the past 8 years in Singapore in particular, we have kept a close eye on the Australian architectural scene. We did apply for the Flinders Street Station project, and we keep an eye on tenders. I personally feel drawn to the sensitivity and respect for the natural environment that characterizes so much of the country’s best design. I would hope that as a Paris and Singapore-based firm, studioMilou can contribute to the exchanges that being a member facilitates. Our entire team in both Paris and Singapore are delighted by the membership, I add. On a personal level, the membership is a real honour. I have spent a great deal of time in Australia over the past 15 years since meeting my Australian wife, who works with the studio as a heritage specialist. We have three lovely Australian daughters and I am applying for permanent residency. Whenever we can, we visit the family in Melbourne before taking off on long coastal road trips. We pitched the same questions to GreenhilLi, read the interview here.